Tropical afternoon rainstorms are a great excuse to cuddle! From left to right: Queen Shulamit, then her girlfriend Chef Aviva, her bodyguard Rivka, and…. well, an albino Burmese python that’s more than what it seems. 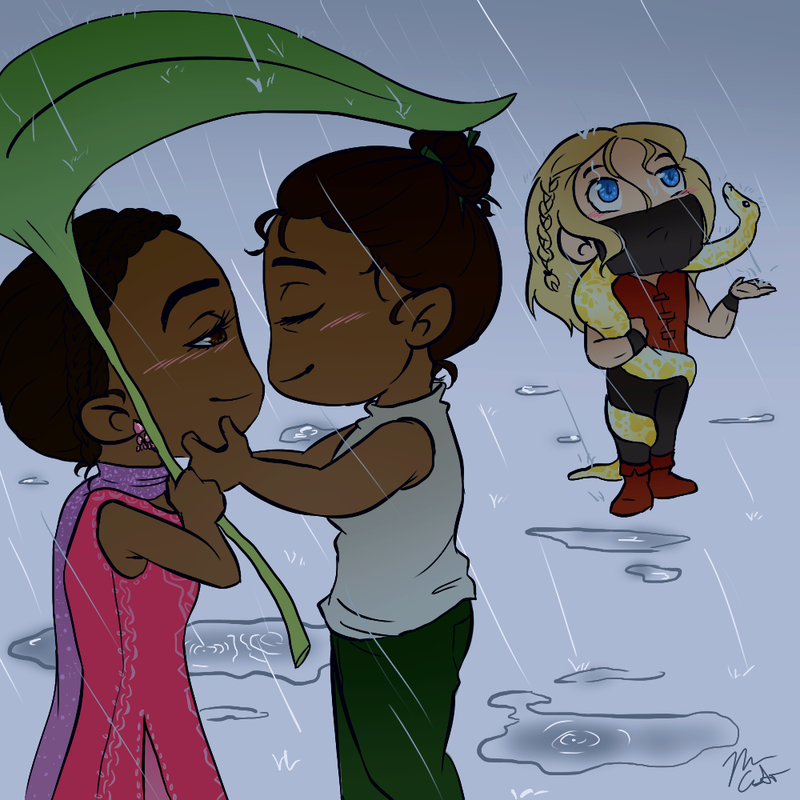 Image | This entry was posted in Mangoverse and tagged albino burmese python, bisexual, books, cartoon, chibi, cute, eBooks, femslash, kiss, lesbian, lgbt, lgbtq, python, queer, qwoc, rain, raining, romance, shoujo ai, snake, tropical, umbrella, yuri. Bookmark the permalink. 2 Responses to Tropical afternoon rainstorms are a great excuse to cuddle! Would get it electronically the day of, but I really want the physical copy! But waiting won’t be so bad probably. My summer reading list is coming together (any suggestions, by the way…?) which means I’ll have books to read.